Begonias are a great way to brighten up both the home and garden. Taking care of begonias is easy, especially when you have the right begonia care information on hand. While some types of begonia are grown for their flowers, others are grown for their foliage. To take advantage of either, use the following tips on growing begonias to ensure the best results. As a gardener, it can be overwhelming when trying to assess your garden’s fertilizer needs. The struggle is so real that many gardeners don’t bother to fertilize anything, even their tuberous begonias! 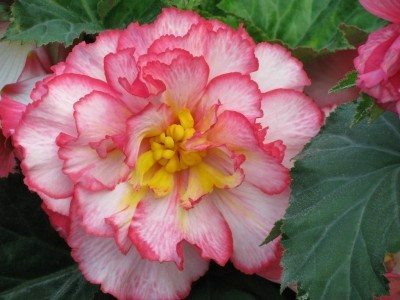 Fertilizing tuberous begonia is important and this article will help. There are over 1,500 species and over 10,000 hybrids of begonia in existence today. Talk about beaucoup (boo coo) begonia! New cultivars are added every year, including Gryphon begonia. So, what is a gryphon begonia? Learn more in this article. Many plant lovers have realized that instead of purchasing expensive begonia baskets each spring, they can overwinter them in greenhouses or as houseplants. Of course, overwintering begonia plants may require pruning. Learn how to prune begonias here. If you can't decide what to plant in that protected, semi-shady corner, you can't go wrong with tuberous begonia. 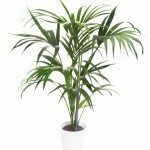 Keeping the plant alive and healthy requires some extra attention, but this article can help with that. The angel wing begonia is commonly named for the shape of its leaves. Numerous cultivars exist so there is an angel wing begonia houseplant for most indoor situations. Click here to learn more. Annual begonia plants have many uses in the summer garden and beyond. Their care is relatively simple when one properly learns how to grow these begonias. This article can help with that. Begonia propagation is an easy way to keep a little bit of summer all year long. Why not use your garden plants to start whole new plants for your winter window sills by propagating begonias? Click here for more. The more than 1,000 species of begonia. Some begonias are grown just for their foliage and others their blooms. This article will help you distinguish common foliage grown begonias for the home and garden. Begonia plants, regardless of type, cannot withstand freezing cold temperatures and require appropriate winter care. Find out how to overwinter your begonia plants in this article. Begonias are a great way to brighten up the home and garden. Taking care of begonias is easy, especially when growing begonias from corms (or tubers). Learn more about them in this article. Begonias are a popular houseplant. Some varieties are grown for their flowers while others their striking foliage. Growing begonia houseplants only requires a little bit of knowledge, which you can find here.